WANT TO KNOW WHAT YOUNG PEOPLE THINK ABOUT YOUR SERVICE OR BRAND? I’m an expert youth researcher, having worked in youth research for 19 years. I ask young people questions about their experiences and views of different programmes and products. My work usually covers teenagers and those in their twenties (13-25 age group). Clients include charities, social enterprises, local and national government bodies and private sector companies. Your priorities for research will be attracting this age group to the research project and ensuring they are engaged and committed. 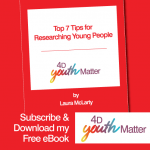 4D Youth Matter offers a number of services such as: advice on appealing to this age group; project design; ethnography; online and face-to-face qualitative interviewing; focus group moderation; as well as an analysis and report-writing service. Many of my projects manage multi-method approaches for clients and delivering debriefs. I also present findings at workshops and conferences. Young people’s voices are important and I’m passionate about representing their viewpoints, especially regarding their education (including enterprise education), how they navigate goods and services and their general wellbeing and mental health. I actively support and link in with campaigns that are youth-focussed and assist with providing research services for these projects. I offer a *FREE* initial consultation on your research needs. You can contact me on 07545 129018 or email: l.mclarty@4dresearch.co.uk. 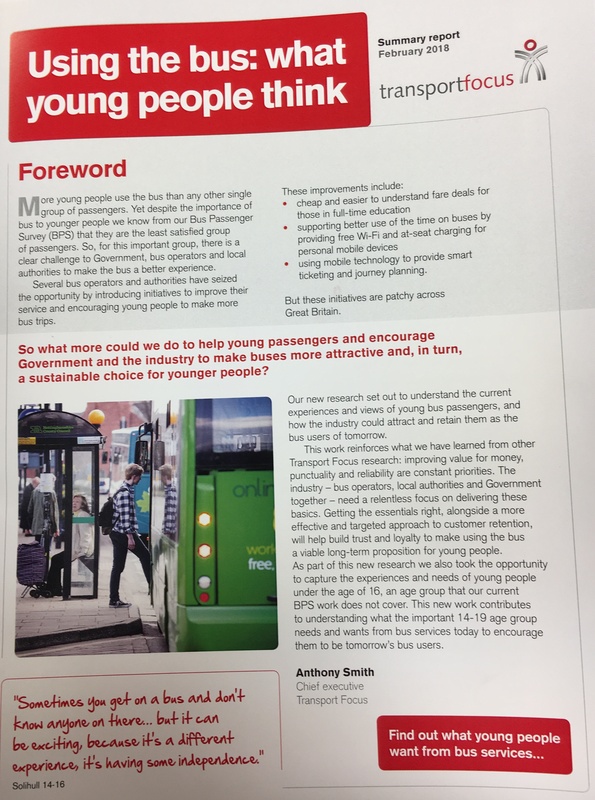 Transport Focus – the passenger voice organisation for bus, rail and road, has just published the findings from detailed research 4D Youth Matter conducted with 14-19 year olds in England. Highlighting important findings about their experiences of bus use, this work involved exploratory research with young people from urban and rural areas, covering ethnography and detailed focus groups, plus a quantitative survey. “We commissioned Laura to conduct this work in a very short space of time…her knowledge and expertise of this audience was outstanding and the fieldwork and outputs she produced were excellent. We are delighted that we are likely to get even more from this piece of work than we had originally expected – which is predominantly thanks to Laura’s fantastic involvement”. “Laura is extremely easy to work with, she unearths the key issues within a brief and delivers incisive and highly relevant insights in a pithy and digestible fashion”.